It seems like everyone just not yet over with the glitters these days. I am huge fans of glitter pedigree, but this style is even more wearable. 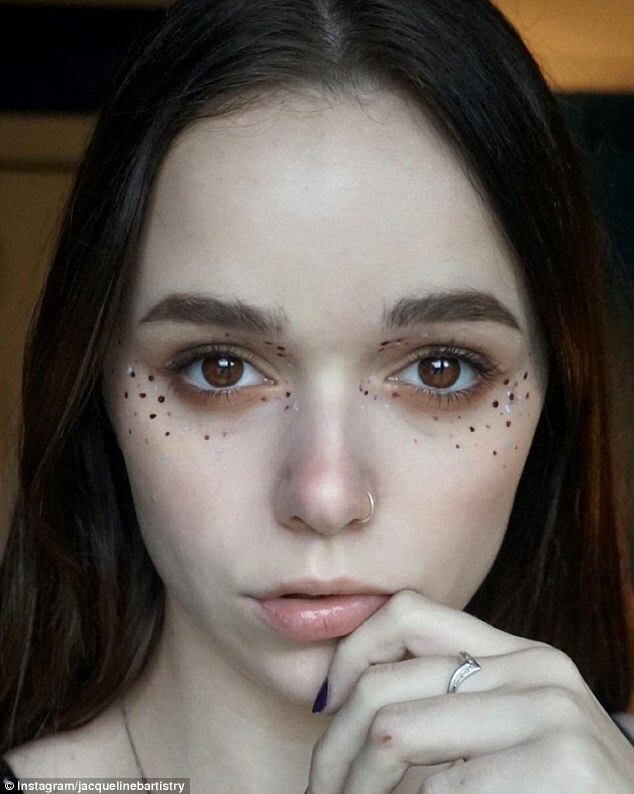 In the twirl to faux freckle trend, fashion divas are hooked on to the peculiar glitter freckles. 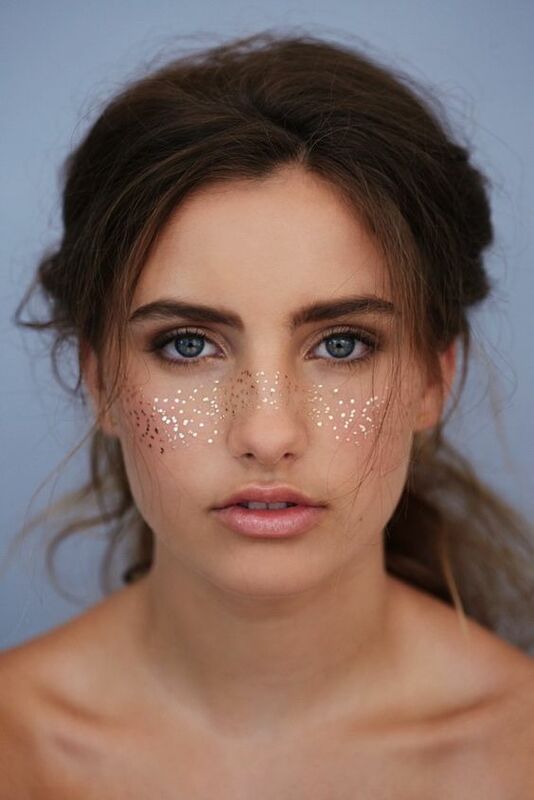 Glitter freckles are blasting, adding a bit of sparkle to the cheeks of exquisiteness lovers. Fashionistas are covering their cheeks, nose and the surrounding areas of the eyes with these small sparkling glitters which further complement their eyes and lips. For the standout look girls are applying chunky glitter, craft glitter, metallic flash tattoos, sequins to pamper their look. Then there are those also who apply different shapes such as stars and hearts. 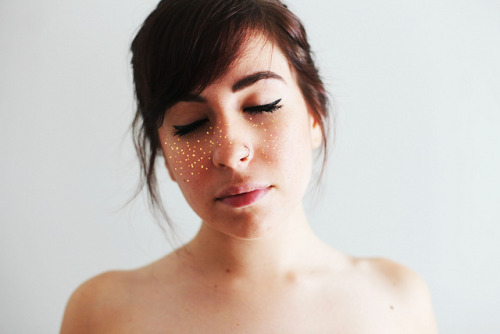 You can simply apply the glitter by putting a bit of Vaseline on the place where you want your glitter freckles to be, and then you just pat the glitter on top. For a better experience you can also try the Mac reflects glitters finely molted glitters ideal for a glam look. The only thing you would find difficult is chunky glitter that need to be arranged in a formation so need to be applied individually. Here are some of the coolest looks. Feeling tempted???? So rather than applying a bright lipstick and Smokey eyes for the party try the glitter freckles trend and enjoy the splendor.